Plaintiffs challenged a SF ordinance requiring warnings about the health effects of certain sugar-sweetened beverages (SSBs) on certain fixed advertising (e.g., billboards) in the city. The court of appeals reversed the district court’s refusal to preliminarily enjoin the ordinance, on the grounds that the required disclosure was controversial/misleading and unduly burdensome. Zauderer applies to mandatory disclosures, whether or not they are designed to remedy deception. A “purely factual and uncontroversial disclosure that is not unduly burdensome will withstand First Amendment scrutiny so long as it is reasonably related to a substantial government interest.” The government has the burden of showing that a disclosure is purely factual and uncontroversial, not unduly burdensome, and reasonably related to a substantial government interest. “[U]ncontroversial” here “refers to the factual accuracy of the compelled disclosure, not to its subjective impact on the audience,” and a “literally true but nonetheless misleading and, in that sense, untrue” disclosure is not purely factual under Zauderer. SF argued that people were more likely to over-consume sugar-sweetened beverages than other foods. “But even if it were undisputed that consumption of sugar-sweetened beverages gives rise to unique behavioral risks, the warning does not communicate that information”—it didn’t mention behavioral risks, “and thus clearly implies that there is something inherent about sugar-sweetened beverages that contributes to these health risks in a way that other sugar-sweetened products do not, regardless of consumer behavior.” [This is an example of how “inherent” is usually an unhelpful concept when people are involved.] 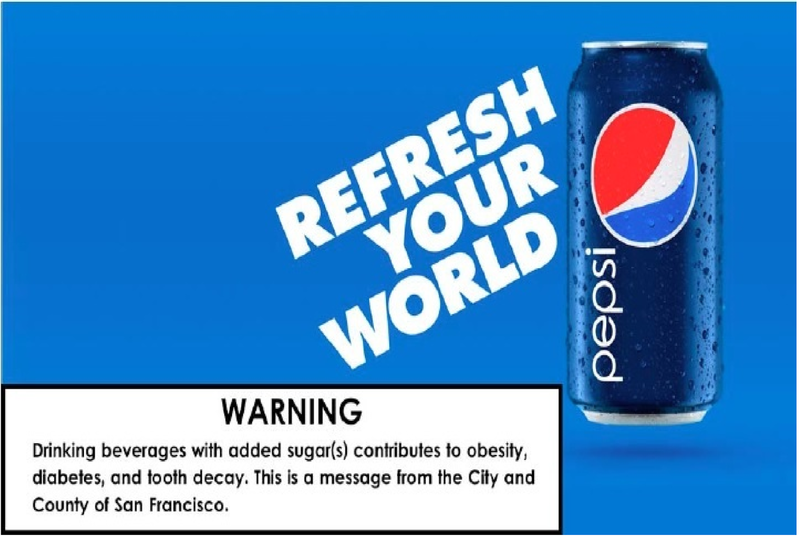 The district court erred in finding that it would be unreasonable to interpret the warning to mean that sugar-sweetened beverages are uniquely or inherently unhealthy. Judge Nelson concurred in the judgment because of the warning’s size. “[T]he City has not carried its burden in demonstrating that the twenty percent requirement at issue here would not deter certain entities from advertising in their medium of choice.” She wouldn’t have ruled on the “tenuous” ground that the disclosure was misleading.